Beautiful lace dress from GODDIVA. 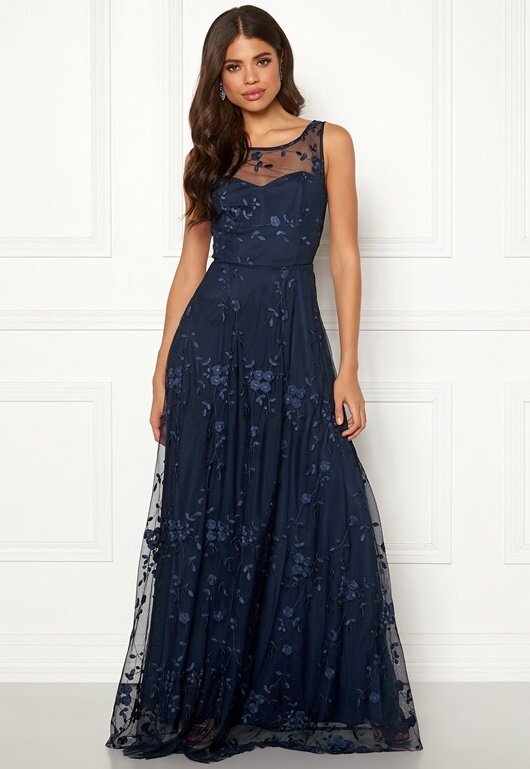 The dress has a beautiful drape and is perfect for festive occasions. - Nonstretch, woven quality - Lined - Fancy lace - Round neckline - Buttoned opening at back - Concealed back zipper - Lovely drape Back length from shoulder 160 cm, bust 82 cm in size S (UK 10). The model is 178 cm tall and wears a size S (UK10). Handwash only. NOTE: The dress size is slightly larger than usual.